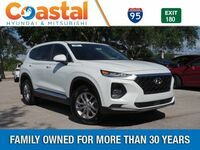 Perhaps more than any other model type on today’s American automotive landscape, we expect so much out of our SUVs and crossovers - they’re expected not only to provide great power and precision, but do so from a sleek and sophisticated package that’s also as innovative as any other vehicle type out there. 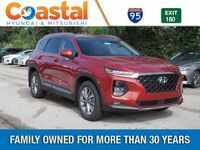 That’s a lot to ask, but for class leaders like the new 2019 Hyundai Santa Fe and 2019 Nissan Rogue, it’s no sweat. These two have solidified themselves as your top choices on the crossover market, making them worthy options for any goal you have for the road. But which one is best? 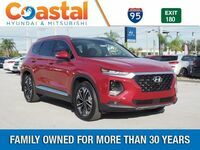 We want to help you answer that question by providing you all the information you need to make an informed decision - join Coastal Hyundai in checking out how the Santa Fe and Rogue stack up mano y mano! 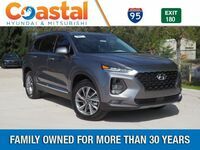 Both the 2019 Santa Fe and Rogue are able to give you all the capability you need for a budget-friendly price. 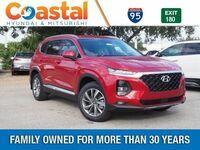 But when you need more control over the road, as well as better towing capacity, the Santa Fe should be your top choice. It can offer a tow rating over 500 pounds greater than the Rogue, as well as an available All-Wheel Drive system that can keep a grip in every condition. 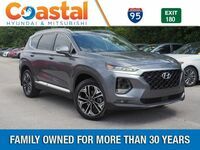 Add this to a high-tech infotainment system and intuitive driver assistance features (which have allowed the 2019 Santa Fe to achieve a 5 Star NHTSA safety rating), and the choice is clear. There really is nothing like the Santa Fe to give you that ultimate peace of mind. 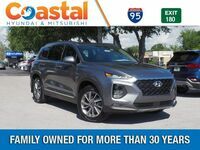 The 2019 Hyundai Santa Fe is currently available here on our Coastal Hyundai lot, conveniently located right by Orlando. Contact our sales team today to schedule a test drive or work out a financing deal - we’re looking forward to seeing you!